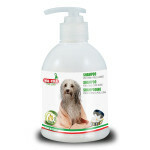 SHAMPOO FOR WHITE DOGS, especially for dogs with white coats, is a detergent designed to eliminate that unsightly yellowish colour of your cute little four-legged friend’s coat. 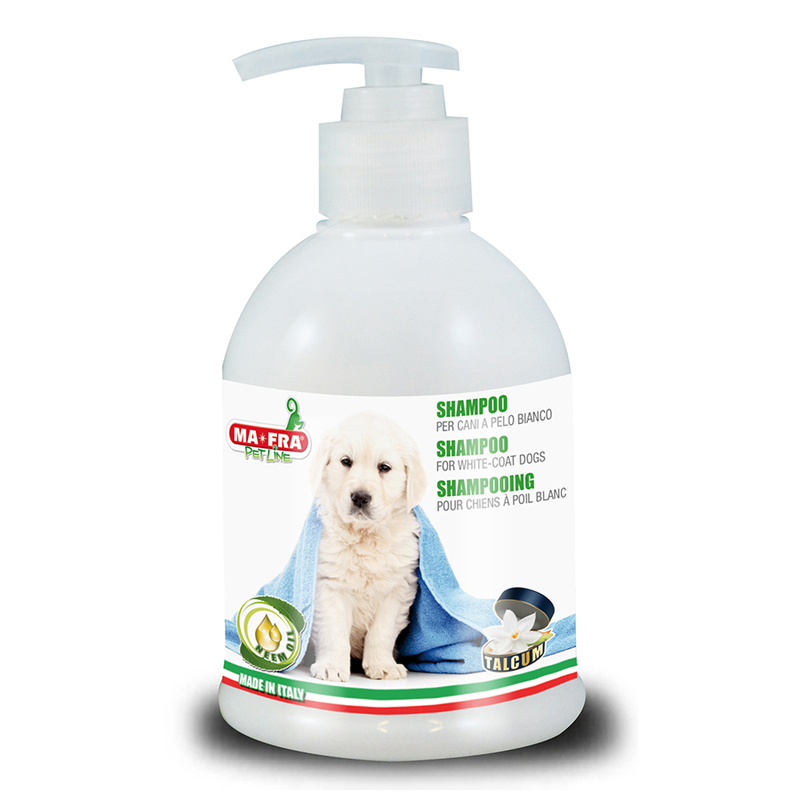 Delicate and very effective shampoo for dogs, designed and manufactured to thoroughly clean fur, it revives your dog’s white coat and keep it healthy by repelling parasites and keeping illnesses at bay. Its natural, anti-oxidant formula makes it highly compatible with the skin: the shampoo exerts a delicate and effective cleansing action, leaving fur soft and shiny. The Neem oil, contained in the formula, is an age-old active principle used in Ayurvedic medicine. It is completely non-toxic and, lastly, contributes to effectively repelling parasites: thereby safeguarding your cute four-legged friend’s health. SHAMPOO FOR WHITE DOGS is part of the AMICO MIO BODY Line by MA-FRA: an innovative line of products designed and manufactured to wash dogs, cats and ferrets that ensure effective, long-lasting and thorough results. INSTRUCTIONS FOR USE: wet fur with warm water, dilute the shampoo in a small container and, using a sponge, apply the dilution from the tail to the head, rubbing in. Leave the product to work for a few minutes and rinse with plenty of lukewarm water. Proceed with a second treatment and then dry. WARNINGS: do not apply the product to eyes. In the event of contact with eyes, rinse the eye with plenty of clean water.